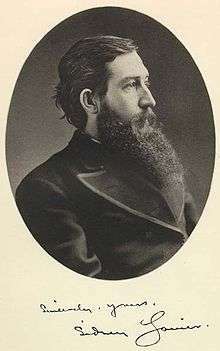 Sidney Clopton Lanier (February 3, 1842 – September 7, 1881) is an American musician, poet and author. He served in the Confederate army, worked on a blockade running ship for which he was imprisoned (resulting in his catching tuberculosis), taught, worked at a hotel where he gave musical performances, was a church organist, and worked as a lawyer. As a poet he sometimes, though not exclusively, used dialects. Many of his poems are written in heightened, but often, archaic American English. He became a flautist and sold poems to publications. He eventually became a professor of literature at The Johns Hopkins University in Baltimore, and is known for his adaptation of musical meter to poetry. Many schools, other structures and two lakes are named for him. He fought in the American Civil War (1861–65), primarily in the tidewater region of Virginia, where he served in the Confederate signal corps. Later, he and his brother Clifford served as pilots aboard English blockade runners. On one of these voyages, his ship was boarded. Refusing to take the advice of the British officers on board to don one of their uniforms and pretend to be one of them, he was captured. 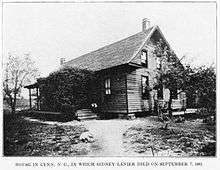 He was incarcerated in a military prison at Point Lookout in Maryland, where he contracted tuberculosis (generally known as "consumption" at the time). He suffered greatly from this disease, then incurable and usually fatal, for the rest of his life. Shortly after the war, he taught school briefly, then moved to Montgomery, Alabama, where he worked as a desk clerk at The Exchange Hotel and also performed as a musician. He was the regular organist at The First Presbyterian Church in nearby Prattville. He wrote his only novel, Tiger Lilies (1867) while in Alabama. This novel was partly autobiographical, describing a stay in 1860 at his grandfather's Montvale Springs resort hotel near Knoxville, Tennessee. In 1867, he moved to Prattville, at that time a small town just north of Montgomery, where he taught and served as principal of a school. The Sidney Lanier Cottage in Macon, Georgia is listed on the National Register of Historic Places. The square, stone Monument to Poets of Georgia, located between 7th & 8th St. in Augusta, lists Lanier as one of Georgia's four great poets, all of whom saw Confederate service. 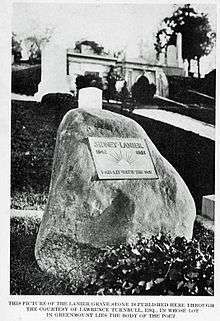 The southeastern side bears this inscription: "To Sidney Lanier 1842–1880. The catholic man who hath nightly won God out of knowledge and good out of infinite pain and sight out of Blindness and Purity out of stain." The other poets on the monument are James Ryder Randall, Fr. Abram Ryan, and Paul Hayne. 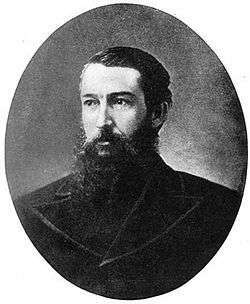 ↑ "Sidney Clopton Lanier". Netstate. September 24, 2009. Retrieved 2012-12-06. 1 2 3 4 5 6 7 8 9 "Sidney Lanier/Prattville Male and Female Academy Site". Historical Marker Database. Retrieved 24 September 2015. ↑ Martin, C. Brenden (2007). Tourism in the Mountain South: A Double-edged Sword. Univ. of Tennessee Press. p. 45. ISBN 978-1-57233-575-2. Retrieved 2013-12-22.